A group of Bridges to Belmont scholars volunteered at the annual Edgehill Halloween Family Night on Wednesday. The students facilitated a face-painting booth, led games and activities with community partners including costume and dance competitions and distributed treats for trick-or-treating.rs. “Every year the Edgehill Resource Center organizes this event to create a safe and fun experience for neighborhood families and children,” said Megan McNeese, student support specialist for Bridges to Belmont. 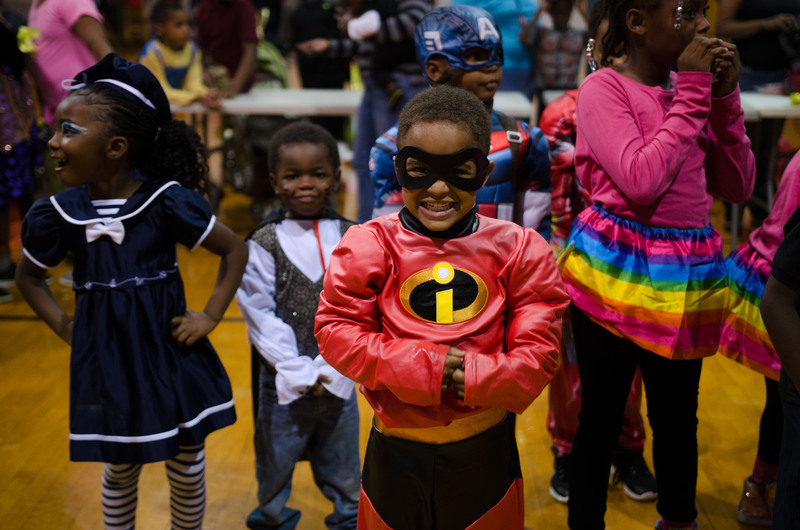 This event gives scholars an opportunity to help host a memorable Halloween night for the neighborhood families. Overall, she and the scholars hope that the kids have an enjoyable night, full of fun activities and opportunities for them to use their imagination and make memories with their friends. “We also hope that interacting with other scholars and seeing their Belmont shirts inspires the children to envision themselves in college one day and to learn more about Belmont, which is so close to their neighborhood,” said McNeese.